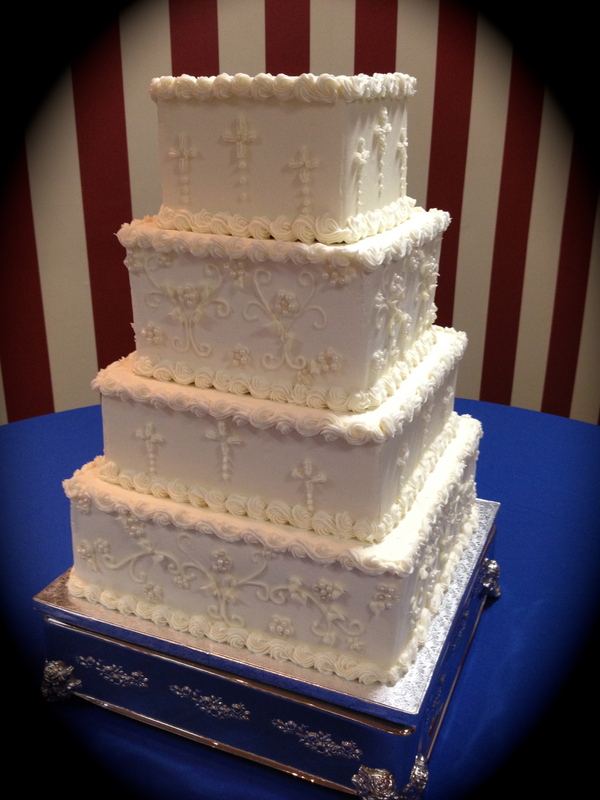 This elegant two tier wedding cake was created in marshmallow fondant to replicate the flowers and swirls of the bride’s wedding dress. The cake was shimmered and was adorned with edible pearls. 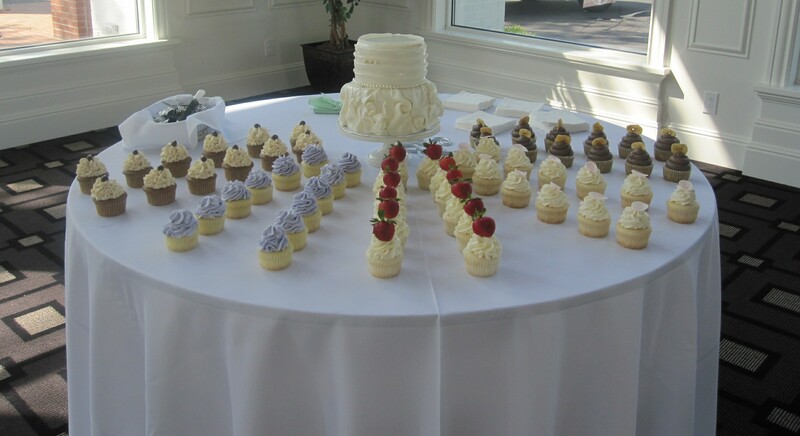 Several flavors of cupcakes accompanied the wedding cake at The Carrick House in Lexington, KY.
To schedule a complimentary wedding consultation, please call The Twisted Sifter at 859-238-9393.